KG Kannabiran co-founded the People’s Union for Civil Liberties. He is renowned for representing the human rights of political dissidents and prisoners. 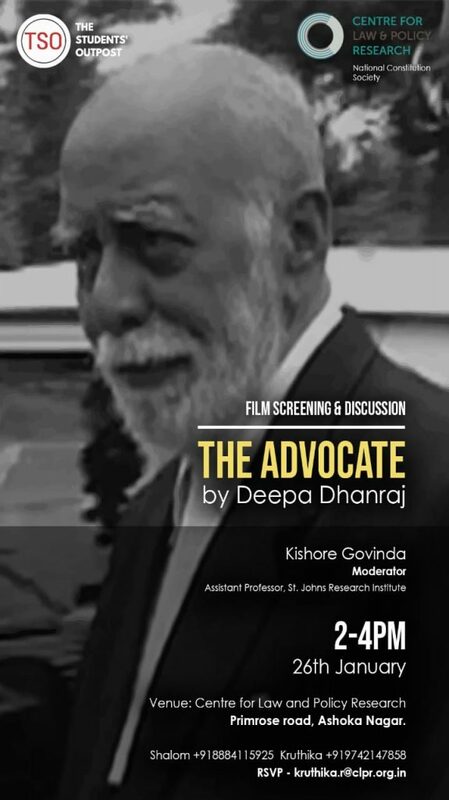 The film screening will be followed by a discussion led by Kishor Govinda, Assistant Professor, St. Johns Research Institute, Bangalore. Kishor is an academic and a human rights activist who works in the areas of gender justice, mental health, labour issues and civil liberties.